My home and especially my desk is a big mess. I have only two days to finish a law paper I am going to talk about next Saturday. The script has to be finished until Monday. The only thing I have time for is cooking coffee and running to the supermarket to buy something done I only have to heat up. But also in this case, although I hate fast food, I am paying attention to buy something organic and quite "usual". 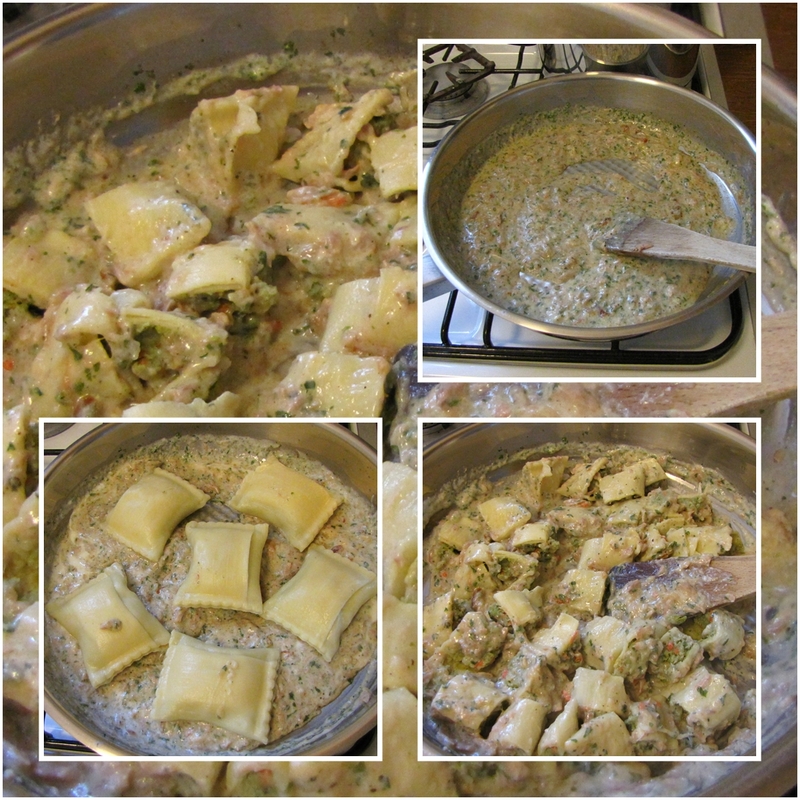 So my rescue this Friday were Schwäbische Gemüsemaultaschen, which we could translate as Swabian pasta squares filled with vegetables. I always buy them when I know that I have only a few minutes time to cook something. I still had some tuna from the yesterday pizza, so I made a sauce: Tuna, onions, milk, yogurt, white wine, herbs, pepper and some flour. I warmed up the pasta squares and then cut them in small pieces and put to the sauce. Tomorrow, because I am going to spend the day in the library, I'm going to eat something in the city. Sometimes also kitchen devils like me have no time to cook. Wish me luck for the next 2 days.